Hand and Foot Salve, 2 oz. 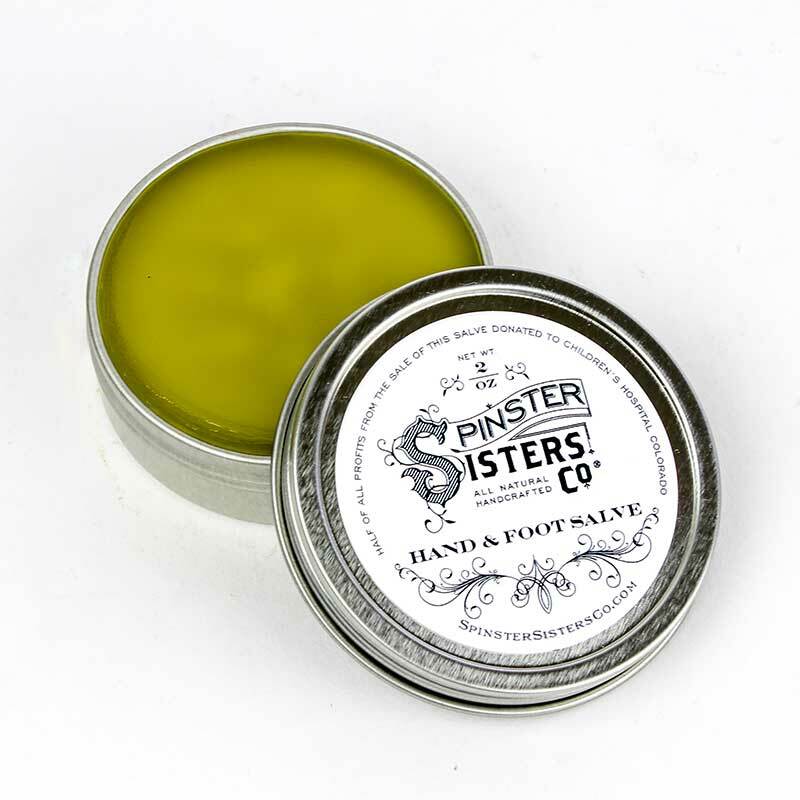 | Apothecary | Spinster Sisters Co.
Home > All Products > Hand and Foot Salve, 2 oz. Made with rosemary and calendula infused olive and jojoba oils, our Hand and Foot Salve is a natural oil-rich moisturizer. Calendula is known to provide antioxidant protection which can reduce the appearance of wrinkles and dark spots. Due to the use of high quality olive and jojoba oils, rather than petroleum-based oils, our Hand and Foot Salve will keep the skin on your hardest working and most worn out body parts moisturized and smooth. To make this salve even better, we donate 50% of profits to Children's Hospital of Colorado. I work a home daycare and wash my hands a ton throughout the day. Nothing helped my chapped hands (I only use safe products). 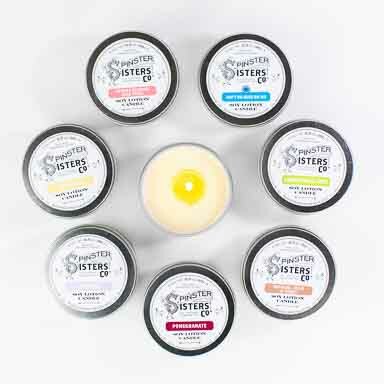 Came across Spinster Sisters hand salve and BAM my hands are super soft after applying it for two days. It’s amazing stuff! 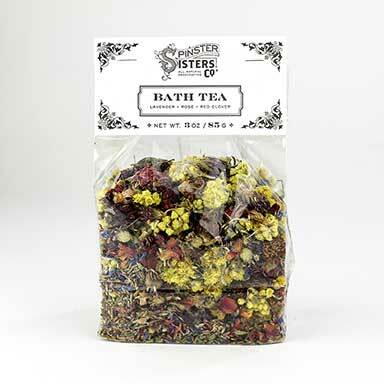 Sulfate, phthalate and paraben free. Olea Europaea (Olive) Fruit Oil, Simmondsia Chinensis (Jojoba) Seed Oil, Calendula Officinalis (Calendula) Flowers, Rosmarinus Officinalis (Rosemary) Leaves, Cera Alba (Beeswax), Tocopherol (Vitamin E) Oil, and Rosmarinus Officinalis (Rosemary) Leaf Oil. 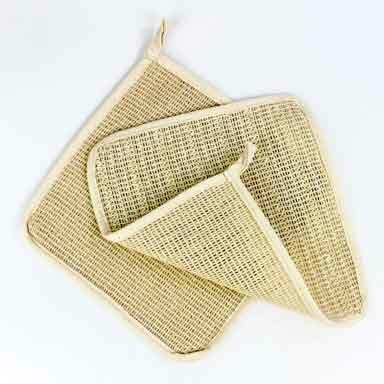 Rub on dry, scaly, or calloused skin on hands and feet. Especially dry skin benefits from applying salve before bed and then covering with socks or gloves to allow the salve to soak into skin more fully.